Ian Botham has hailed Ben Stokes' "enormous potential" and suggested he may be a better player than he was at the same age. Stokes broke Botham's record for the quickest Test double-century by an England player in the game at Cape Town - a moment Botham compared to his exploits in the Headingley Ashes Test of 1981 - and, despite being the youngest member of the squad, has quickly emerged as a key figure in a developing side. 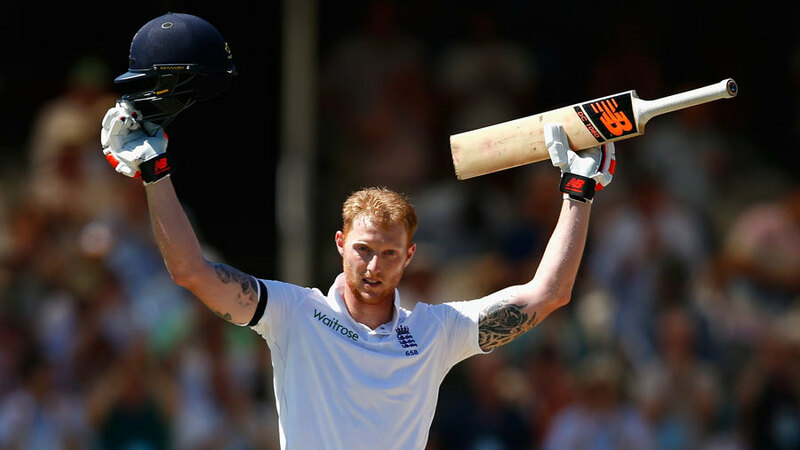 In statistical terms, the 24-year-old Stokes has some way to go to match Botham. By the time Botham was 25, he had scored six Test centuries (Stokes currently has three), claimed 14 five-wicket hauls (to Stokes' two) and was captain of the side. But such comparisons are unnecessary. In terms of the aggressive role he plays with the bat and the balance he lends the side by virtue of his all-round skills, there are obvious similarities between the two. Botham recognises that and sees in Stokes a kindred spirit who will be at the centre of every plan England make for much of the next decade. "He's going to have to find a balance. He was left out in the first place as he had no change of tempo. There's not a lot of point being out there for 70 balls for 15 runs. Tavare, Boycott and Brearley all scored faster than that." "This is the most exciting England team since they were world No. 1. England are an emerging side and they will progress quite quickly. They will be competing by the end of this calendar year for No. 1 status. They might not actually be No. 1 because of the way the fixtures work, but they will be up there and ringing the door bell." "I like his timing. He said captaincy was hurting his batting. But he went out there and showed what character he has by getting 200. If it was hurting his batting before, then God help us now." "As a player, he's probably better than I was at 24," Botham said. "What I did was yesterday's news, what he did is today's news. "He is not a jack of all trades and master of none. He is actually probably master of the three most important assets you need: batting, bowling and fielding. "His bowling can only get better. He has all the attributes: he has pace; he can swing the ball; he can reverse it; he can bowl orthodox. And he is terrific fielder close to the bat, in the covers or midwicket, backward point, on the boundary." Certainly Botham holds no resentment in losing a record to Stokes. He already feels Stokes is a better player than Andrew Flintoff (who scored five Test centuries and claimed three five-wicket hauls in his career) at a comparable stage - "he'll take more five-fors" - and suggests that Stokes should be allowed to play his natural game without complication or impediment. "I held that record for 33 years, so it was about time it got broken," Botham said. "I enjoyed watching Ben Stokes. I have been a massive fan of his since I first saw him on the international scene. I think he has got tremendous, enormous potential to go all the way. "That was one of those moments when you can just say 'I was there'. When you think back to Headingley '81, I know there were only about 10,000 people in the ground but I have met three-and-a-half million who say they were. Well, I was there for Ben Stokes. "It was fun. And Ben Stokes will be enjoying it as well. He'll see it as fun as well. You walk out and you empty the bars rather then fill them and it's a nice feeling. Then you get out and you see them all going back in for a beer and you think 'sorry, lads: can't do it every day.' And he can't do it every day, either. That's what people have to remember. You have to give him the right to fail. "Just let him go. Mike Brearley did absolutely the same with me. There was no leash in any way. "I didn't think too much. There is too much thinking about the game, too much analysis, looking at computers. I don't need to look at a computer to know I've played a **** shot. It's not that hard. "But he is crucial to Alastair Cook's selection policy. If he's playing, then Cook actually has an option of two other players in his mind. He is the genuine article." Botham also believes that Jonny Bairstow's maiden century at Cape Town will give him the confidence to settle into the side and improve his wicketkeeping. "I think Jonny Bairstow offers a lot to English cricket," he said. "I have always been a fan of his. He was a rough diamond three years ago but you knew those skills were there. "He only put one down one chance and it wasn't easy. He also had the first stumping for three years by an English keeper in Durban. I think there are more pluses than negatives. He works very hard at his game and he will only get better. I genuinely think he is good enough."